Jump in the Commitment of Traders this week. The Emini closed up 0.75 points at 1,375.00 on Friday. As the market slowly grinds higher the Commercials are increasing their short positions. 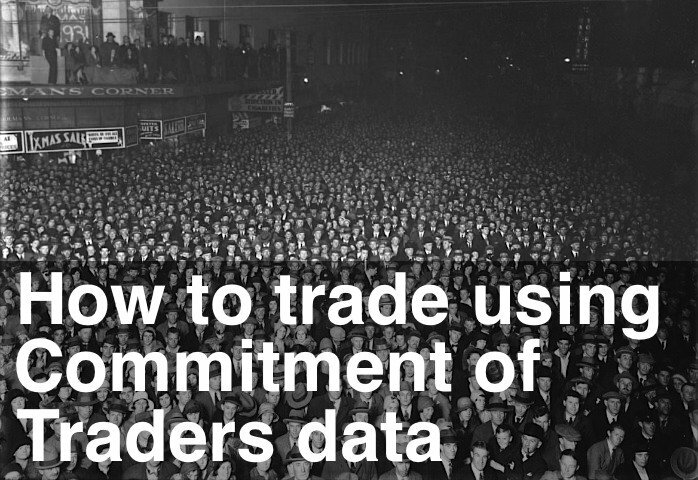 Do you check the Commitment of Traders data each week? TGIF and what are the Commercials up to? The Emini opened virtually unchanged and then dropped to 1,369.75. It then spent the rest of the day slowly grinding higher, hitting a high of 1,375.50 and eventually closing at 1,375.00. At 5.75 points the range was again very narrow today. I always look forward to close of business Friday. Not just because it's the start of the weekend but I can also see what the Commercials have been up to during the week. The CFTC (Commodity Futures Trading Commission) releases the weekly Commitment of Traders report, which includes data up to the previous Tuesday. The Commitment of Traders report breaks down open interest into long and short positions, and small, medium and large traders for all traded futures. The people to watch are the large, professional traders or Commercials. The data requires some manipulation but the nice folks at the Commission provide a spreadsheet with all the raw data. Calculate the net long percentage of total open interest. The end result for the Emini is shown on the weekly chart above. I know this sounds like a lot of trouble to go to but you'll find it's worth it. Using all 10 index futures smoothes out the data stream and shows turning points early. In addition, weighting by the dollar value gives a more accurate picture of total funds invested. As you can see the data jumped down this week with the professionals increasing their net short positions from -4.5% to -6.3%. This is a jump down of 1.8% of open interest. These swings of open interest are important to watch but I also look out for large jumps either up or down like this. And my Trading Index (TRIN) oscillator turned up. Once again a mixed bag of signals, some bullish some bearish. However, range and volume are declining and the bulls are finding it harder to push the market higher and professionals are adding to their short positions. We will need a decisive trend line break to signal exhaustion or a market turn.